WINNER of the Realm Award Debut Novel of the Year ! 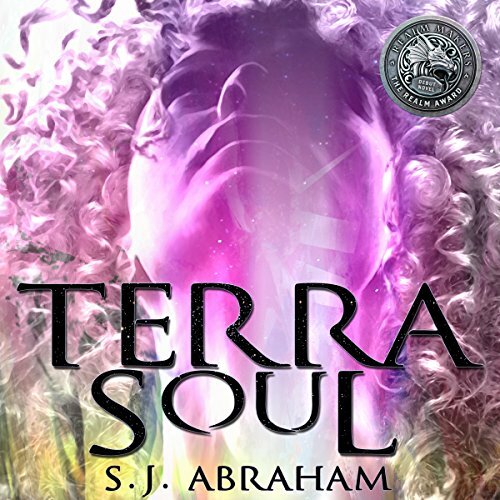 If you loved books like I Am Number Four or City of Bones, you'll love Terra Soul. With nonstop action, great characters and local flare, Terra Soul is the YA urban fantasy adventure you've been craving. AYLA THINKS SHE'S JUST a comic-book geek with photophobia living in boring Colorado Springs until the day a space fold forms in her living room. When her father drags Ayla through to the other side, she discovers an alien world. Her birthplace. Karanik. Everything should be great for Ayla, but it's not. The boy who has been crushing on Ayla all summer was pulled through to Karanik too. Her long-lost sister thinks Ayla's some sort of messiah. Her grandmother wants to shape Ayla into a ruthless leader and Earth is under attack. It's up to Ayla to stop millions of invincible alien creatures before they devour the souls of everyone on Earth.